Climate isn’t just about the atmosphere. Most of our analyses of climate change have focused on the atmosphere and mostly over land and, therefore, mostly in the Northern Hemisphere. This is simply because that is where our best data comes from. This is starting to change though. A paper published in Nature this week uses relatively new ocean data to show a “Robust warming of the global upper ocean”. 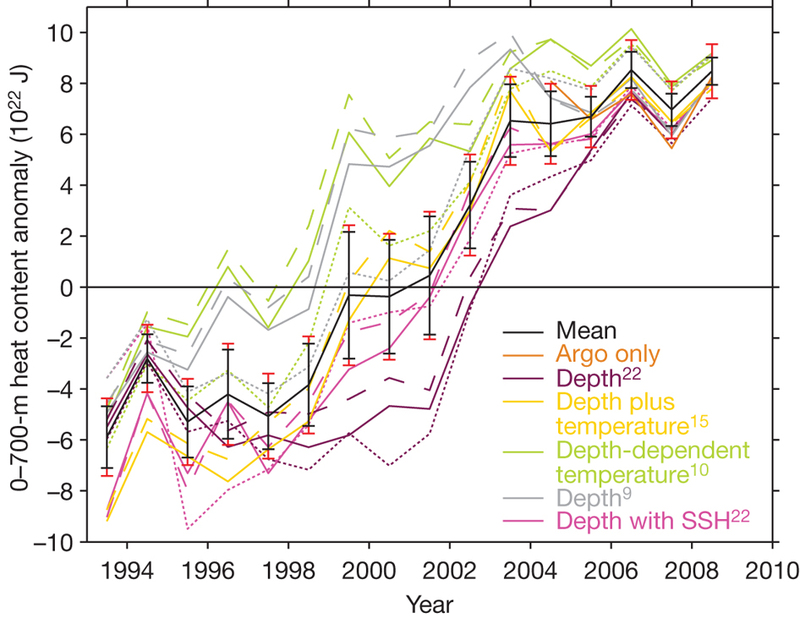 Different methods can be used to analyse ocean data, and this discussion gets a bit in depth, but here is the key plot, showing the clear increase in upper-ocean heat content for the period 1993-2008. This field still needs a lot of work but this represents some interesting and significant progress.